On tour your panniers are probably the most important bit of equipment you have with you, second only to your bicycle. 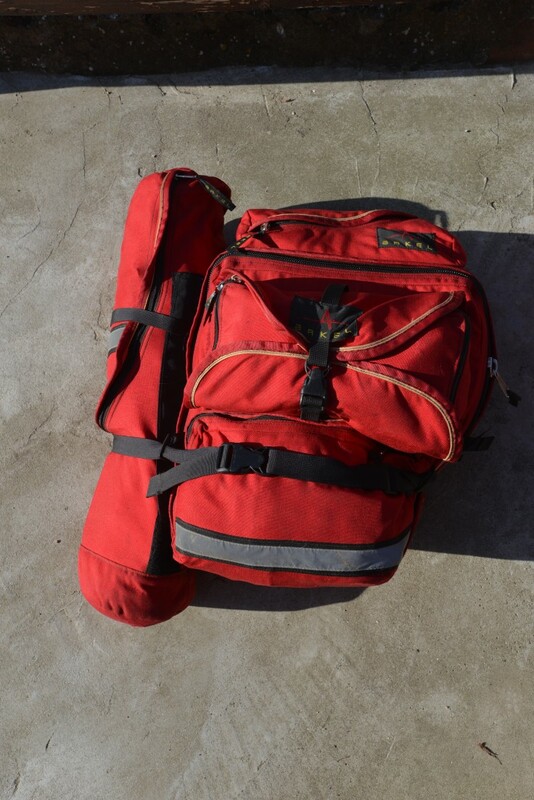 They need to be reliable, durable, large enough to carry your equipment, clothes, sleeping and cooking stuff and everything else you are lugging around with you. There are quite a few options on the market for solid panniers, but all of them can put into two camps; PVC bags, like Ortlieb classic panniers and fabric bags like the Arkel GT-54. For me, I have had the opportunity to use both style of bags, and the choice was an obvious one; the Arkels were the clear choice. 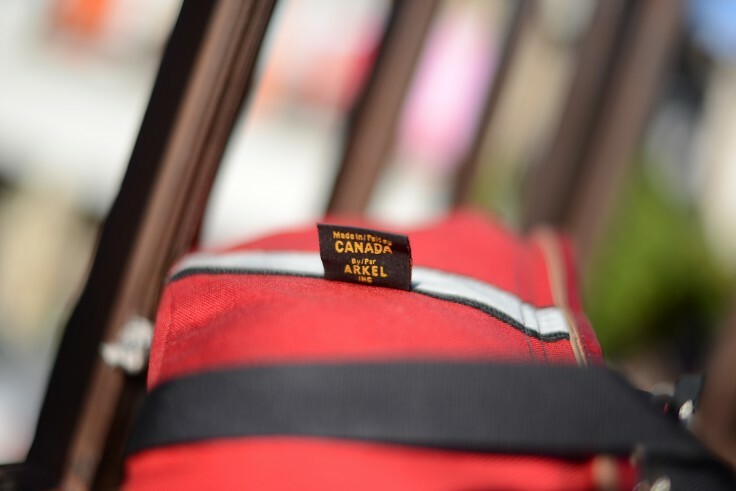 Arkel are a Canadian company founded in 1988 which make their panniers in Canada, which for me is always a big bonus. As a proud Canadian I think that it is well worth supporting a local company, especially since they are making the best touring panniers I have ever used! I was lucky enough to have the opportunity to test the panniers out on our first tour from Portland to San Francisco when a friend lent me a pair (thanks Scott). 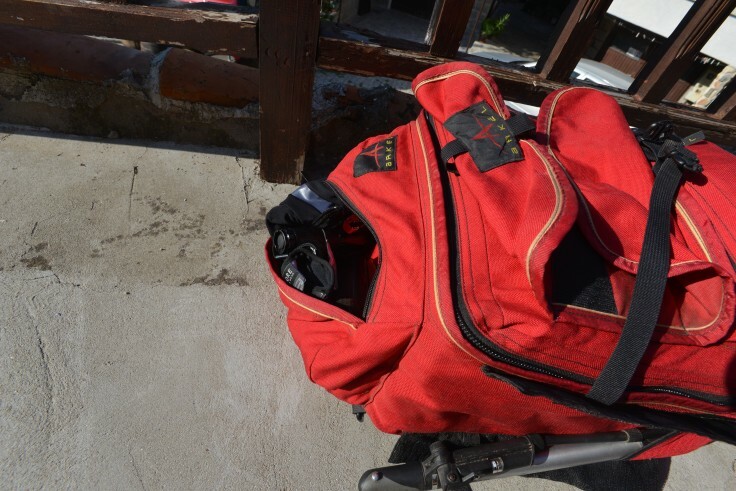 The numerous compartments, generous main storage area and built to purpose removable tent and toiletries bags made these panniers a joy to ride with. After two weeks I was sold, and when we were preparing for our current tour, I was hesitant to buy a pair, but eventually took the plunge and am so glad that I did! 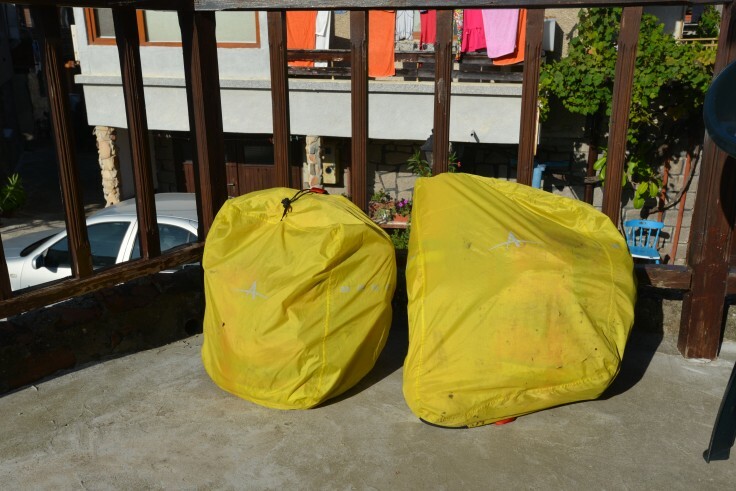 The bags themselves are unlike most panniers as they are asymmetric, the right and left bags differ greatly in their shape, size and compartments. They are also BIG; the pair of panniers holds 54 L which is massive compared to a pair of Ortlieb Back Rollers which holds a measly 40L, and on a trip like ours, I am really happy to have the space which the GT-54s provide. 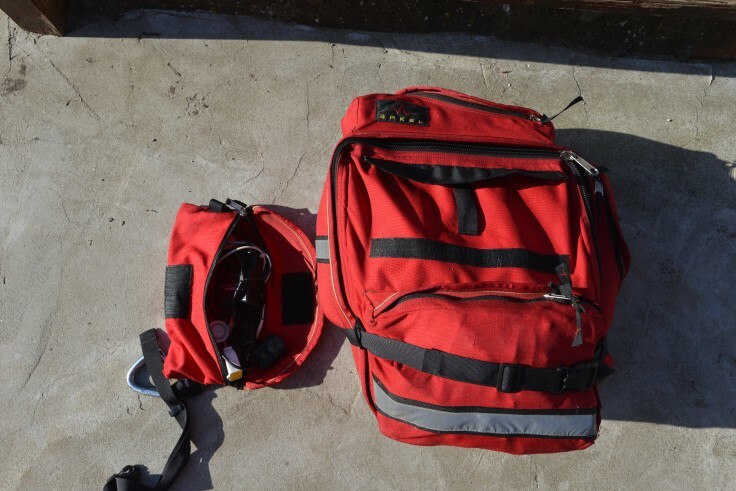 Both panniers have a large main compartment which can be opened up and accessed in their entirety with a pair of heavy duty zippers; a feature Arkel dubbed TFL (total frontal loading). This feature itself makes the Arkels shine in my opinion. 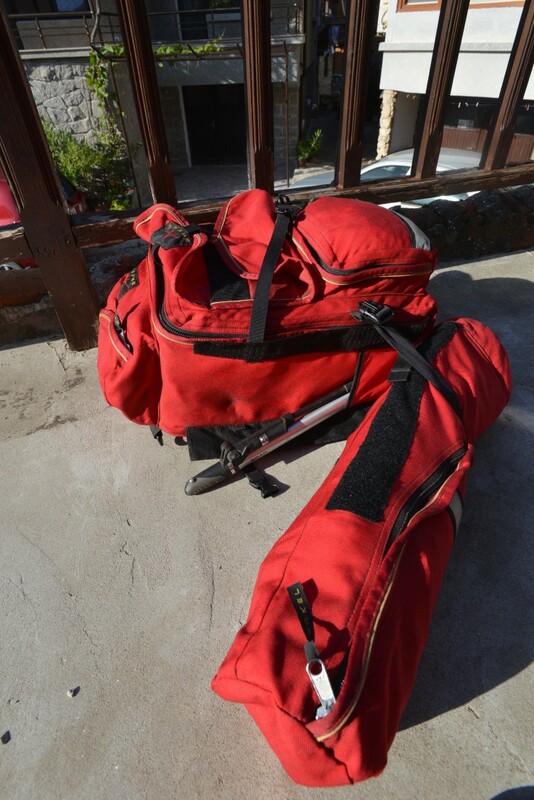 Nothing is more frustrating than having to pull all of your gear out of your panniers to get something from the bottom. It’s like unloading a bucket, not fun. With the GT-54s you just unzip, and you are at the bottom of your pannier free to dig around as you please. As mentioned above the panniers differ in their shape and features between the right and left. Having so many compartments that are accessable while the panniers are still attached to the bicycle is amazing. I have my arm and leg warmers and jacket stashed in accessible pockets, as well as tools and a first aid kit on an outside pockets. When I need these items, no digging around, no grabbing the right stuff sack, they are at my fingertips. 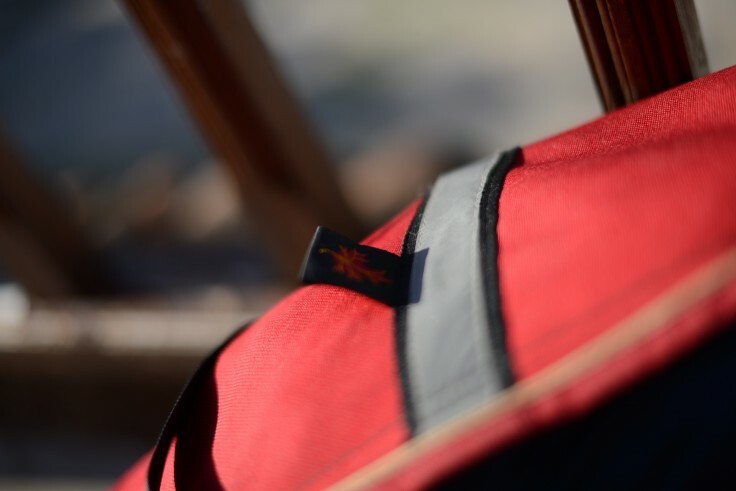 In addition to the compartments that the panniers tout, the panniers have a few more noteworthy features. They are made with Cordura fabric. If you aren’t familiar with Cordura it is waterproof, extremely strong and when I say extremely strong, I mean you can’t rip it even if you tried. The pannier also has a lightweight aluminium frame internally. Waterproofness is another great feature of the panniers. The main material of the GT-54s is Cordura as mentioned above, which has been treated with a waterproofing finish. 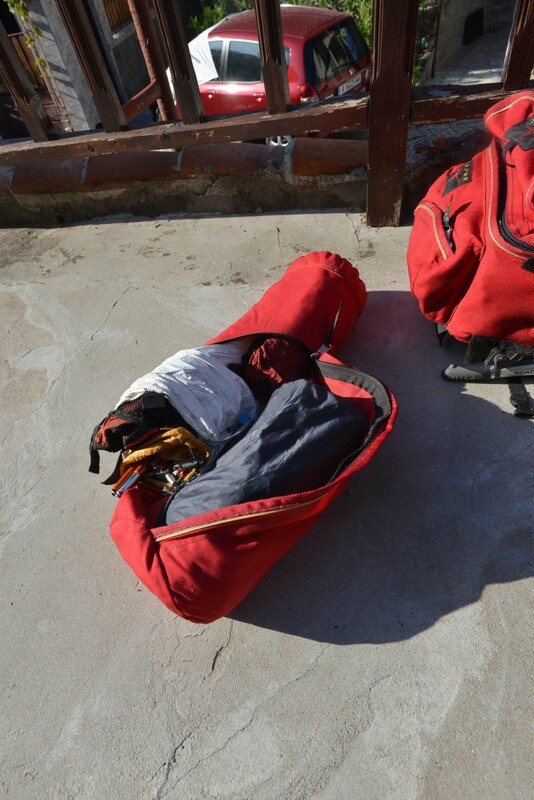 There is also an integrated drybag inside the main compartment of the panniers. Arkel also sells optional rain covers for the GT-54s, and I think that they are well worth the additional cost. I bought these and they have been extremely effective at keeping things dry, but also are taking the brunt of the abuse from the outside world, which I hope will help to extend the life of the panniers. All and all the panniers have been effective at keeping things dry, most of the time. In serious downpours some items in the external pockets have gotten wet, even with the raincovers on. These were always at the bottom of the pannier where they are especially exposed to splashing from the ground and passing traffic. The mounting system is also unique to Arkel which they have dubbed the ‘Cam-Lock’ system. 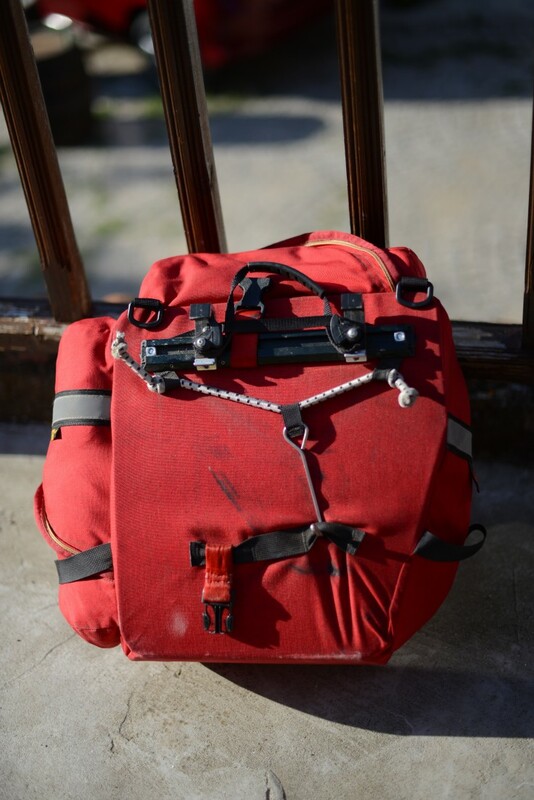 It is comprised of a solid aluminium rail and hooks with strong plastic cams which swivel and spring tight to any size tubing of a pannier rack fixing the top of the panniers to the rack. 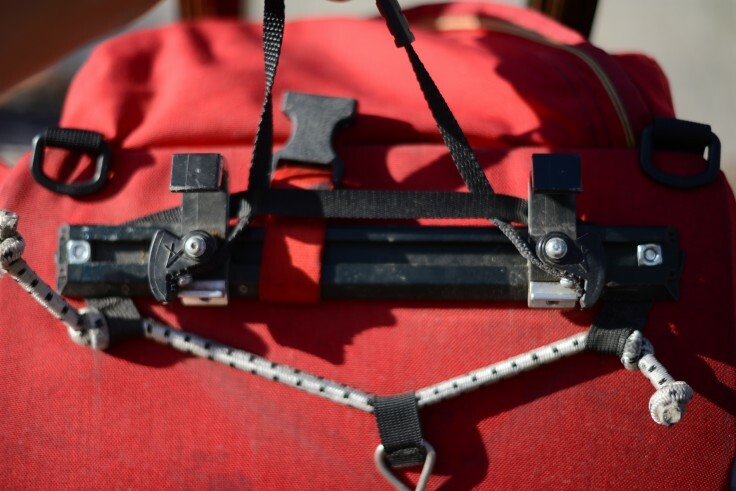 (this is a great feature, as with other panniers the mounting system may not lock tight to the tubing and will shake around, rattle and may not be as secure) The system also uses a simple hook and bungee to keep the bottom of the pannier tight to the rack. 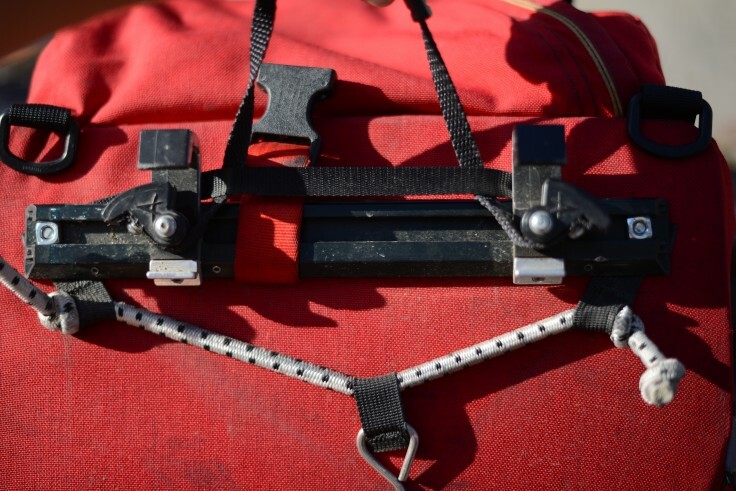 (Brooks of England use the Arkel system on their panniers) All of the elements on the mounting system can be adjusted and maintained with a simple multi tool. The process of getting the panniers on and off is a breeze, and once they are on, they are on. 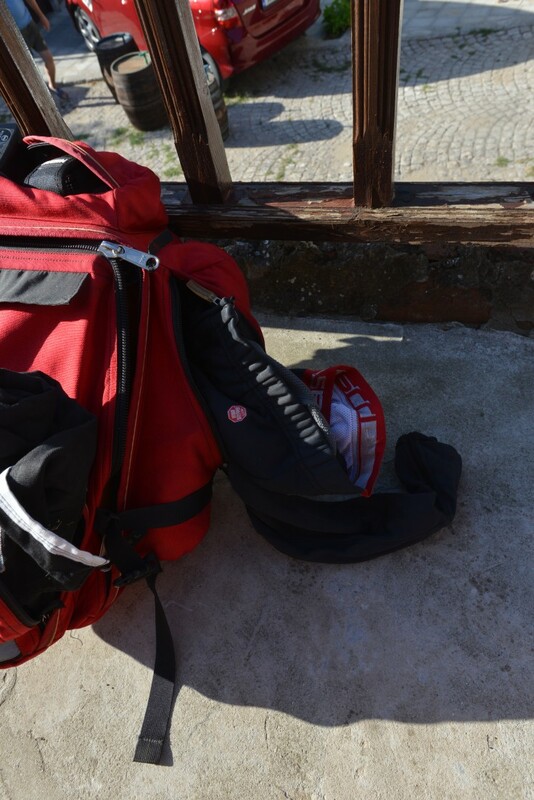 I have not had a single problem on the trip with a hook coming off or a pannier coming loose; the same cannot be said for my ortliebs. The only area where the Ortliebs outshine the Arkels is not with the panniers themselves, but the integrated system that Ortlieb Back Rollers have with an Ortlieb Rack Pack. 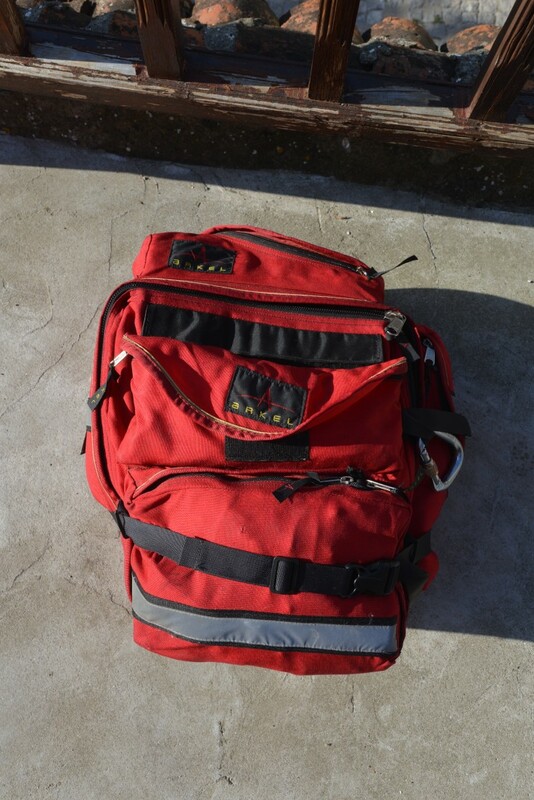 Arkel sells a trunk bag which is 15L, which I have not had the pleasure of using, but seems too small for a tour of our length. 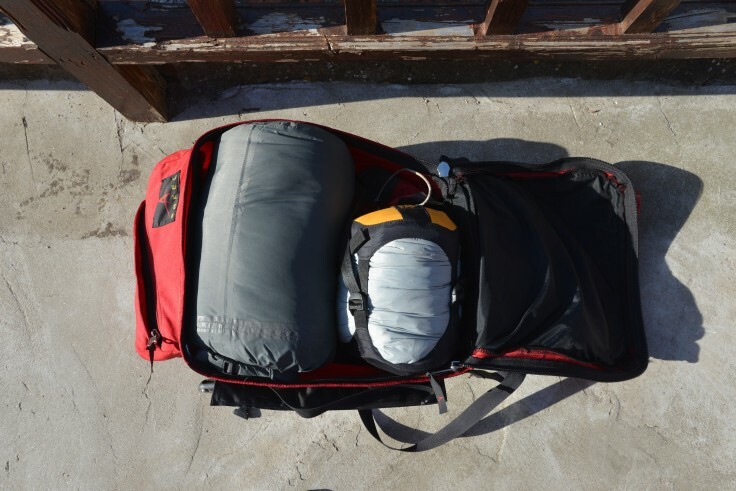 I created a reversible solution which integrates both the GT-54s and an Ortlieb Rackpack which you can see HERE. Arkel also sells front panniers, the GT-18s, which are meant to compliment the GT-54s, which I would love to test out one day. I would recommend the GT-54s to anyone planning a major tour, or a short one. Some would argue that the panniers are not waterproof, which unless you are crossing rivers with your panniers will never be an issue, the bags have 3 layers (internal dry sack, cordura pannier fabric, rain covers) of waterproof material which will never let you down. The panniers tip the scales on price, coming in at $400 CAD, however, chances are that they may be the last panniers you will ever buy. 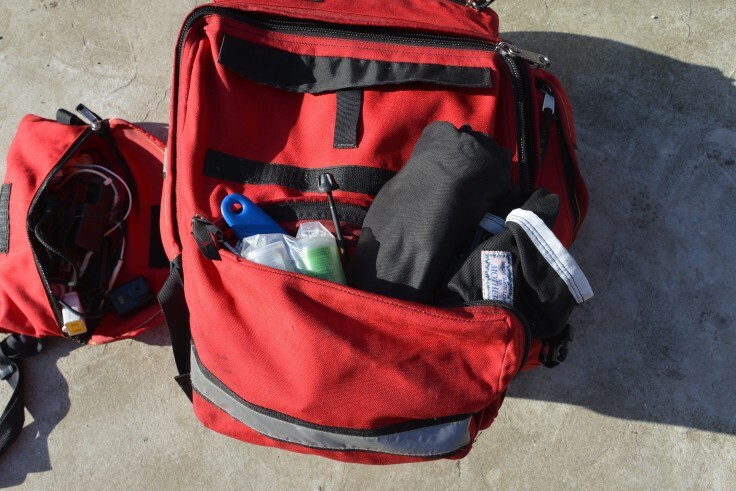 Pros: Easy to access pockets, high quality materials, great mounting system, made in Canada! Great review. Looking forward to getting mine. I just ordered a set of black GT-54’s for the back & GT-18’s for the front, along with Arkel’s red rack bag and a full set of rain covers. Right at $900 all up. Pricey? Hell yeah! But worth every single penny, IMHO. The folks at Arkel are great too. I was treated like their most important customer! There was a minor screw-up with my address and the gentleman who handled it seemed semi-panicked over it. He took care of everything personally and called and emailed me to let me know that all was well. American companies should adopt Arkel’s business model. Quality and customers first – what a friggin’ concept! 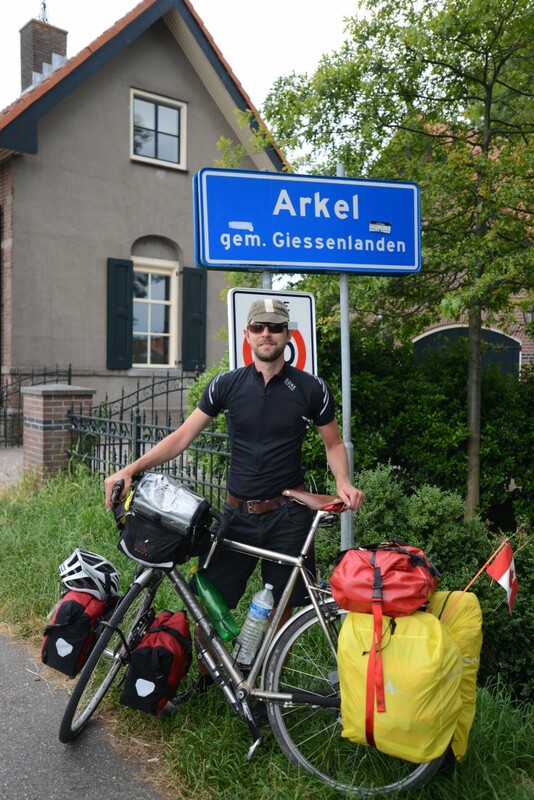 We traveled 30 000km with a set of GT-54 and 20 liters ARKEL in the front as well as the handle bar bag. We can only say that we were a bit disappointed with our experience. We were not sure about choosing the Orteild or Arkel, but chose to go for Arkel cause we are from Quebec and we wanted to support our local economy. 1- If you choose red bags, they will turn pink after 2-3 months. Arkel answered that the fabric is not made to be exposed to the sun for too long. Unfortunately we didn’t convert to indoor bike touring so ours look like they were totally bleached. They even suggested to go with rain cover all the time. Stupid for an “over designed” product. 2- Service is mediocre. Contact persons were rude! 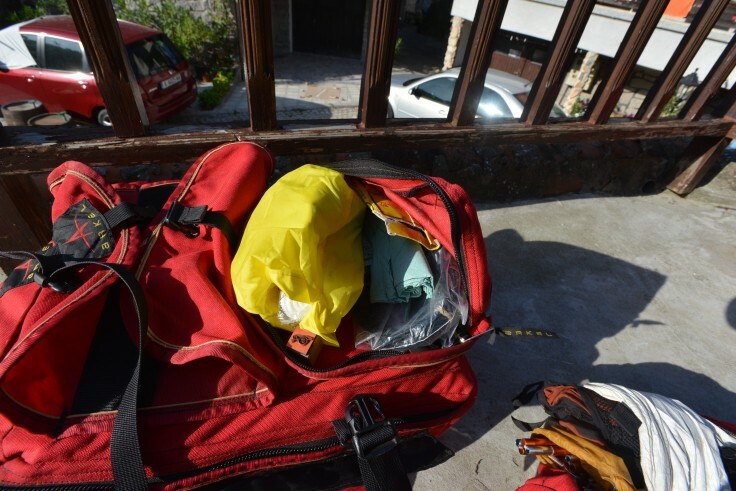 Went we contact Arkel to explain our problems with the bags (we’ve had a few) they try to make us feel as if we are not using the product properly. For example, there is mesh bag on the side of the bags. The elastic will no longer stretch after long hours under the sun/rain. If you place your bike next to a wall or lying on the ground (believe me you will at some point), the mesh will wear out so quick you can’t imagine. 3-Only the stitches and a fabric tear is covered by the warranty. Zippers are actually really robust so I wouldn’t be worried about them, but some stitches around the zippers came undone and Arkel charged us because they said zippers were not covered by the warranty. Now, what about the stitches that hold the zippers!? 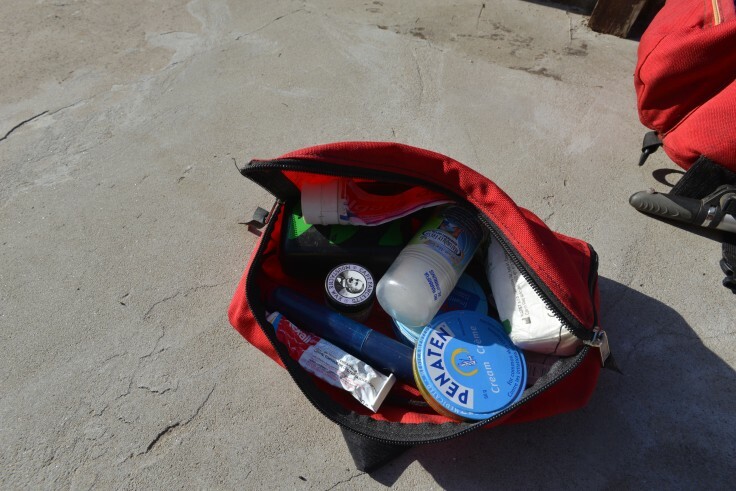 4-When carrying stuff in the handle bar bag, stuff will move around in the bag. Thats ok. But the inside layer (waterproof material) wont resist any rubbing. A book moving around will end up making hole in the fabric. Yikes! 5-The Codura fabric (outside layer) is indeed very resistant. Its impossible to tear. But it become very soft and doesn’t keep its shape after a few days under the rain. The front panniers will look like ol’ grandma’s boobies. Depressing. Also, they wont resists chemical burn like DEET from insect repellent. 6-The tube to put your tent in on the GT-54 can easily swing and bang against your wheel when going over a pot hole. It happened so often that the rubbing created a hole in the fabric. Is this part of the over design? 7-There are so many pockets and gadgets on the bag that we wish we didn’t have. If only what’s in the main compartment of the bags is waterproof, why would you want your stuff to be in a side pocket that is NOT waterproof? We ended up putting everything in the main compartment and we went with all the side pockets empty. 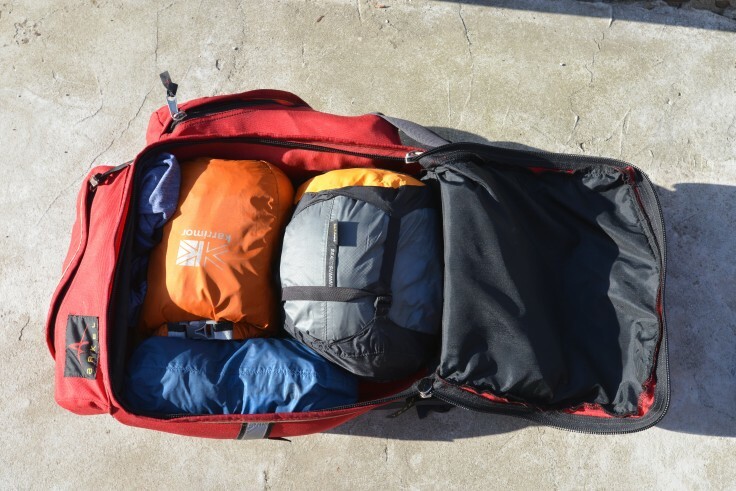 Also having you can put more stuff in a 40liters bag than in 10 bags of 4 litters. So the many pockets strategy is not to cool. 8-We bought the Surly nice racks to hold our panniers. They are awesome. But the Arkel hook system doesn’t work with them! If the diameter of the rack tubes is to big, the hook system wont close properly! We had to weld smaller metal extension to our racks just because of the Arkel system. 9- Inside the panniers there is plastic sheets to keep the bags in its original shape. They are like Grand-ma’s bra.. remember. The plastic will put quite a lot of pressure on the corners of the bag and the fabric will wear out quickly on the sweet spots. At some point you’ll see the plastic coming out of the fabric. 10-Even with the “water proof” inside layer. The panniers are far from being waterproof. You’ll end up putting everything in plastic bags. So after a few months we decided that we wouldn’t put our stuff in the Arkel inside layer as it restricts the amount of stuff you can squeeze in the panniers. 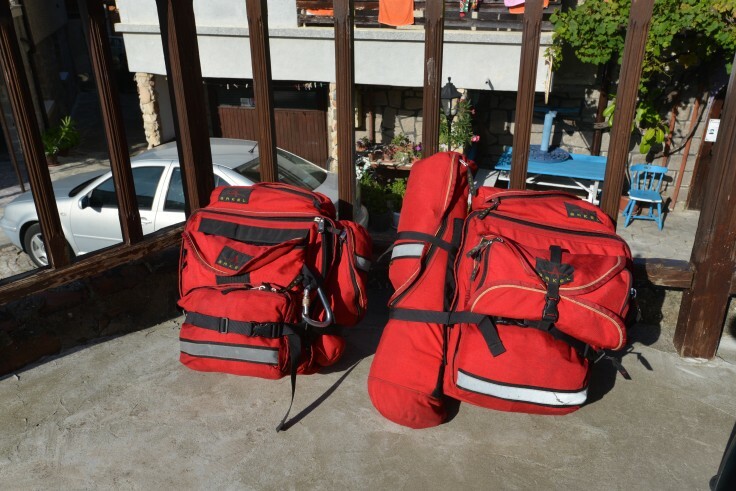 We traveled with many people that had Ortleib bags and there wasn’t a day we didn’t wish we had bought the same ones. 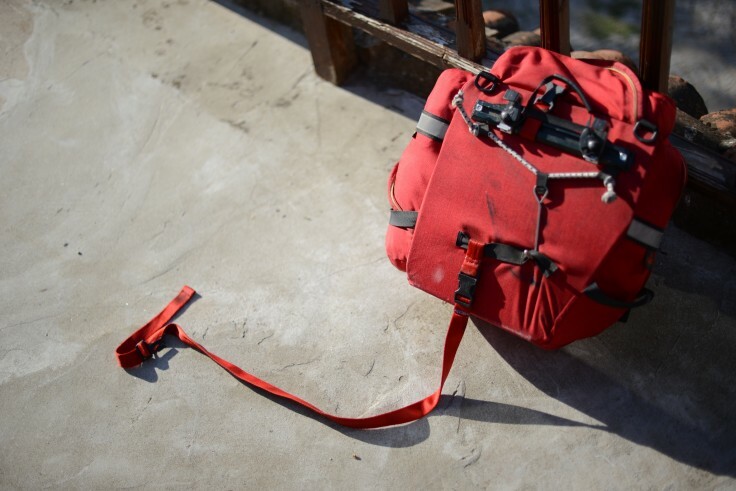 The 1600$+ that we paid for Arkel bags are not worth it. I was looking for that kind of information before buying my gear in 2008, so maybe this will help other people to choose. Sorry Arkel. Thanks for your comments. I’ve experienced some of the issues you’ve noted, such as holes forming on the inner layer of the handlebar bag, the tube rubbing on my wheel and have wondered about the tube not being waterproof. I have also used Ortlieb panniers front and back rollers on other tours, Claire is using the front and back roller classics right now. And there have been times I have wished I have had them. 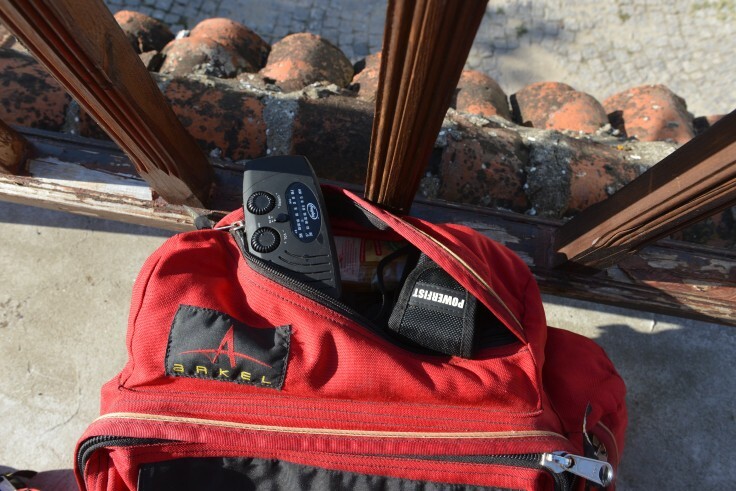 The Arkel bags are great in their own right, I have been really happy being able to open the bags fully without having to unpack my bag to get to the bottom. Also being able to store my tools on the outside in a zip pocket has been great! Also the pole tube is great for what it is designed for. There are pluses but after about a year on the road I’m beginning to wonder if they outweigh the alternative. Thanks again, hope your experience helps people out there! 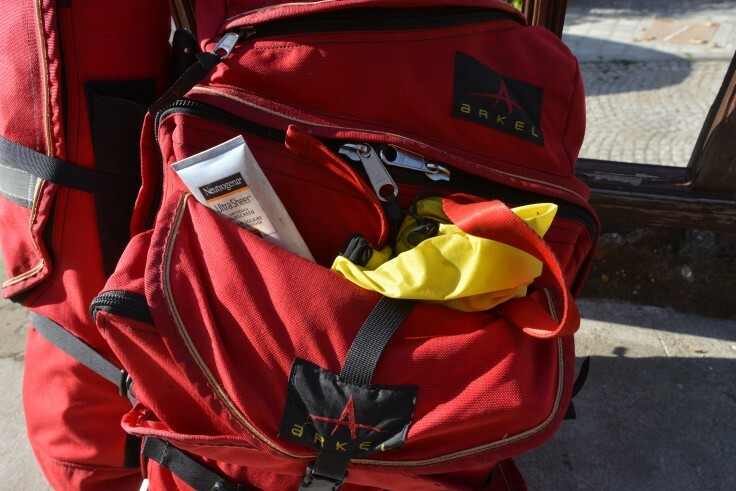 I’m curious: After having traveled so far with your Arkels, what your impression of the bags is now. Were you to take another trip of this sort, would you choose to take them again? Or would you choose another type or brand? 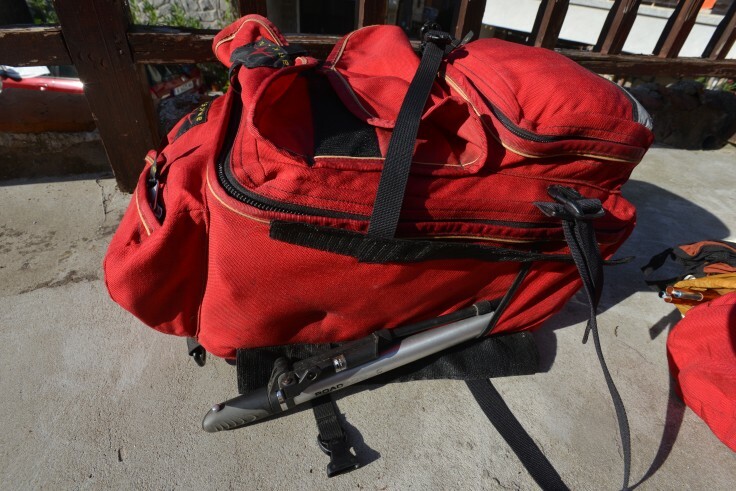 What were the disadvantages of this particular pannier that you’d hope to avoid in the future? What are the attributes you’d like to have that you were lacking next time ’round? After travelling as far as we did with the Arkels my thoughts are this. Keep them for shorter journeys. They are fantastic panniers, have really great features, but in the long run you are probably better off on a long tour with fully waterproof panniers with fewer pockets. I found them ideal for a two week cycle trip in the United States. But they held everything I needed. No front rollers, no rackpack. On our world tour I used them for about 15 months and then swapped them out for my Ortliebs, mainly because I didn’t find them as waterproof as they should have been. I have to update the article to reflect my experience now that we are back. Thank you for these reviews. I am starting to think about a cross-USA tour from Washington DC, to Missoula, MT, next year. I will need to work while I’m biking, so I need to offer some protection to my high-end tablet that I will use for that. I gather that the Ortliebs, being more waterproof, may be a better bet for that reason. I am also concerned about the comments about the Arkels wearing. On the other hand, I am one who does appreciate having pockets and access to different sections of the bag without having to unpack everything. 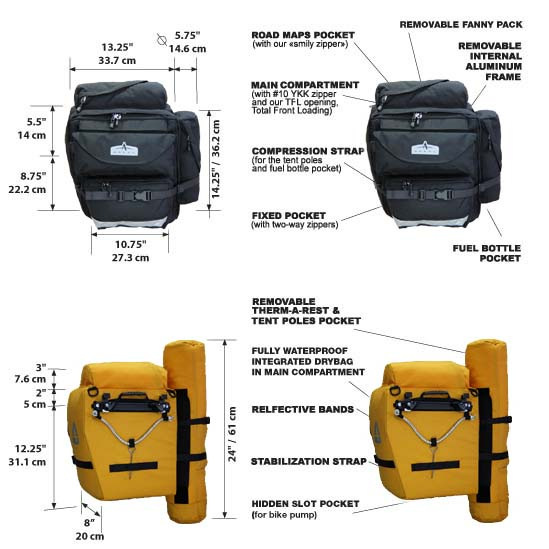 Is there a pannier that offers both the full waterproof capability AND the organizing capability? And that doesn’t have the wear problems mentioned in the comment above? Hey Mark. Your cross country tour sounds great! We are hoping to do a US tour one day. I believe there are some fully waterproof panniers out there with have pockets. Take a look at Vaude’s panniers. Also, having been a while since writing the article, I’ll present an update of sorts. I ended up switching to my ortliebs from my arkels mid tour. In the end the waterproofness won out, and adopting a strategy with smaller stuff sacks in the pannier for clothes and sleeping bags, etc.. worked well for me in the end. Hope this helps. Good luck on the tour.